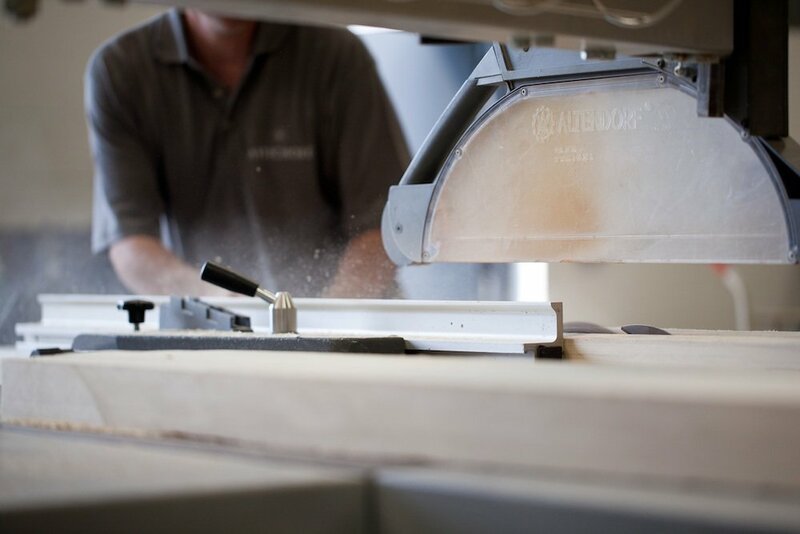 With such focus being directed towards designing beautifully detailed kitchens and fitted furniture, we have always felt it vital to maintain full control over all aspects of each project, and this includes its manufacture. Great design made poorly is a waste. 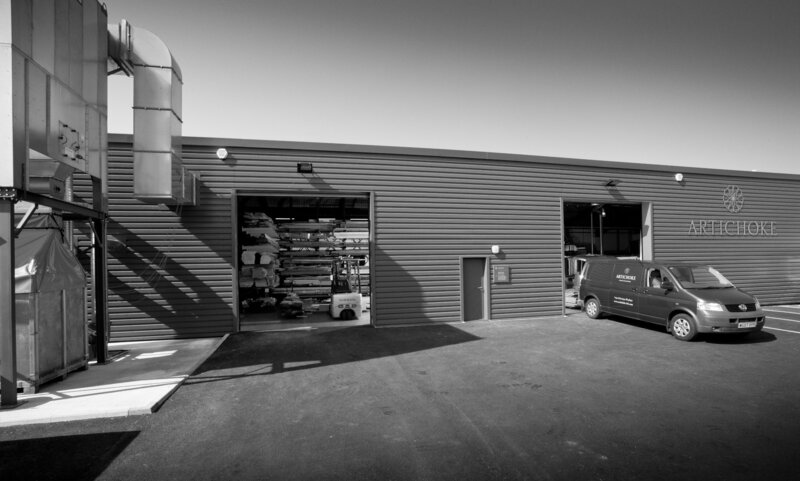 Artichoke’s purpose built 14,000 square foot joinery workshops were opened in 2015 following three years of detailed planning and architectural design. We designed them ourselves specifically to manufacture domestic kitchens and furniture to an incredibly high quality level. 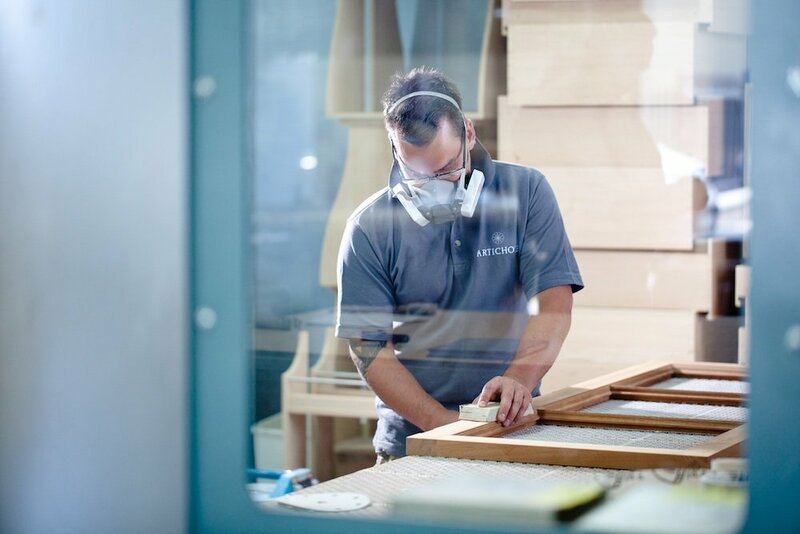 By investing our resources in a cabinet-making workshop of this standard (as opposed to the rental of expensive central London showrooms or kitchen salesmen on commission), we are able to produce work of unmatched quality for our clients at the best possible value. An insulation, heating and humidity system designed specifically to mimic a domestic environment. This allows the hardwoods we use to stabilise during storage and making, meaning minimum movement when it arrives on site as a kitchen or library. 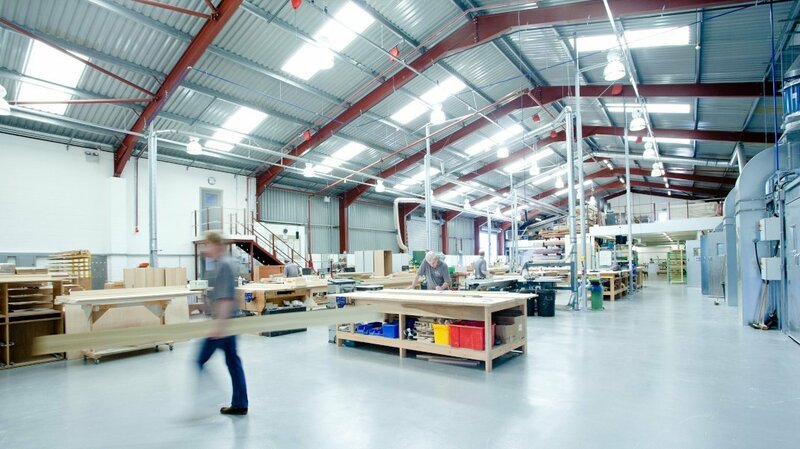 An industrial grade high quality lighting system that automatically reacts with the ambient light outside, ensuring an even and constant light within the workshop throughout the day. 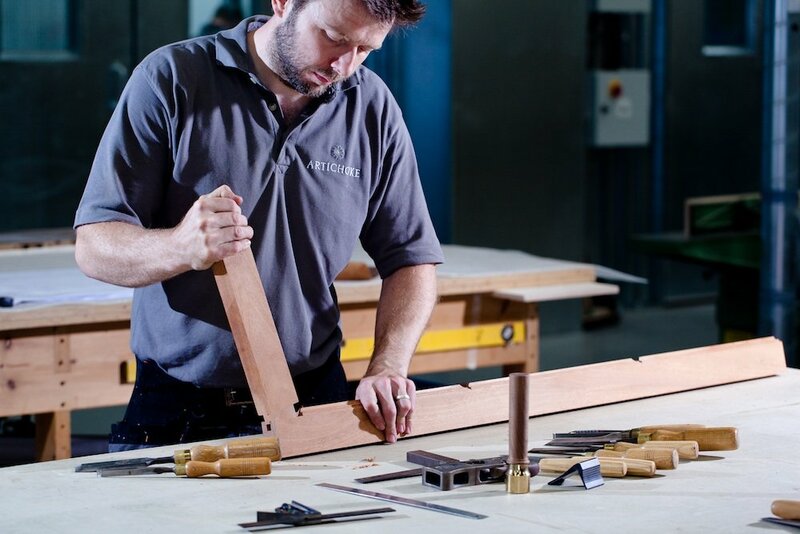 This helps finishing teams and cabinet makers really view their work closely and it ensures that even the slightest embellishments don’t go un-noticed. Industrial grade downdraft sanding benches which ensure minimal dust build up during sanding. This facilitates a perfectly even and smooth surface on which to apply finishes such as lacquers, French polishes and paints. 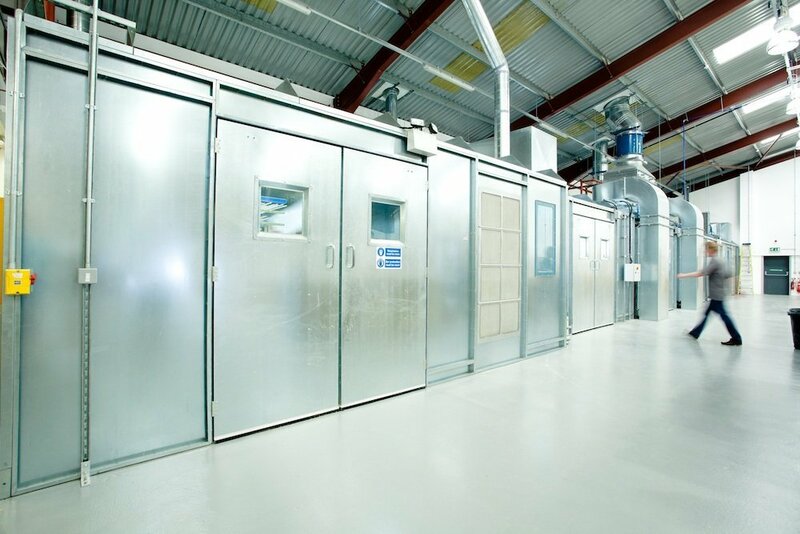 Clean-room grade finishing booths which ensure a dust free environment when applying lacquers and polishes to finished furniture. These rooms are also environmentally controlled to ensure the best possible environment for applying and curing fine finishes. We encourage our clients to visit us as it is really the best way for them to understand what we’re able to achieve for them. 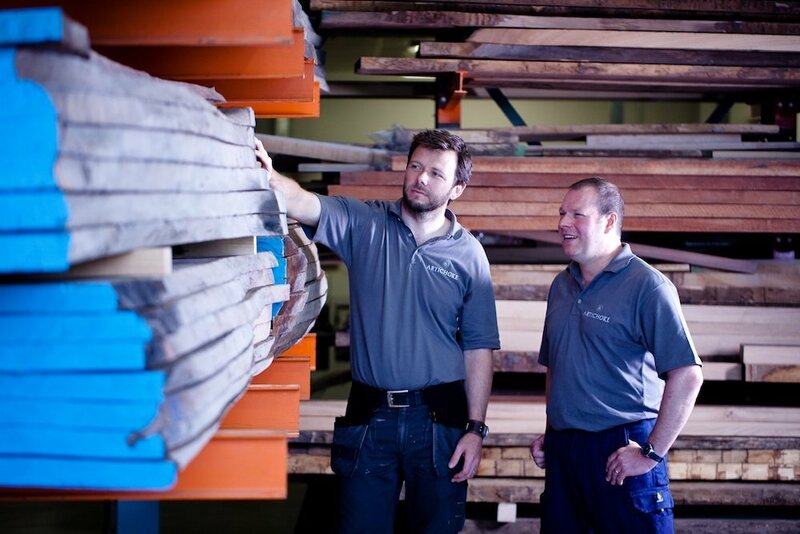 Great care is taken when choosing hardwood timber for each project. 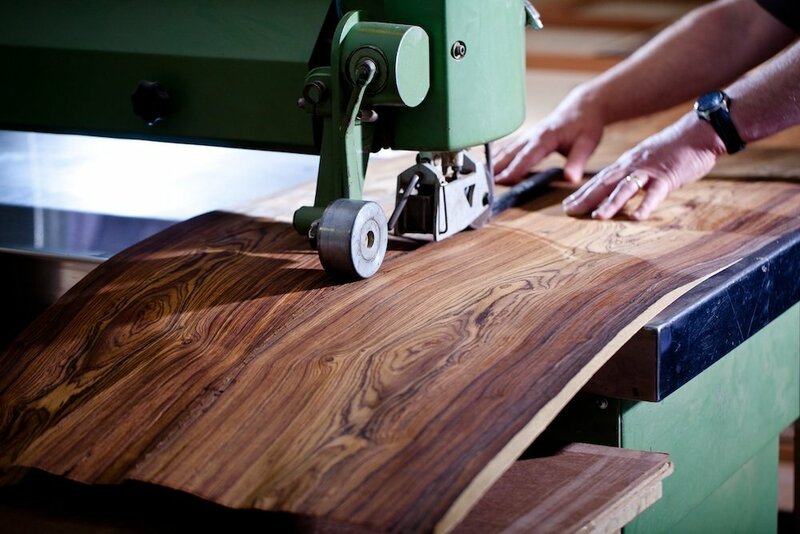 Sanding well presents a perfect surface on which to apply stunning finishes.